The Ebola crisis that raged over the summer produced acres of newsprint. Much of it was sensationalist, inaccurate and confusing. Many people were concerned, not least because of irresponsible reporting. Some were quick to point out that the media only became interested when white people in rich nations started dying and Socialist Worker highlighted the way that "The Rich Could Stop Ebola in a Day". Ebola is a horrible, virulent disease. But despite it having first identified following a 1976 outbreak, we still know very little about it. 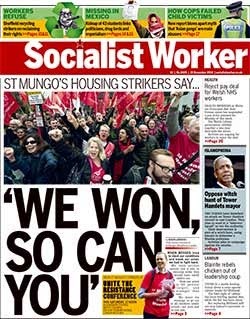 One reason for that, as Socialist Worker highlighted, is the lack of resources that have been spent on solving the problem. Another is the particular way that Ebola spreads. David Quammen's new book concentrates on this second question. His book has its origins in a 2012 book of his, Spillover which examined the way that diseases can arrive from the animal kingdom and enter the human population. The Ebola pathogen is a zoonosis, "an animal infection that is transmissible to humans". Quammen points out that this is not uncommon - diseases like bubonic plague or rabies are zoonosis. The reason that this is important is that identifying the "reservoir" animal which carries Ebola between outbreaks is a key part in identifying how to deal with the disease. The reservoir is unknown, though recently it has become clear that bats may well have a key role in this. Bats are extremely common in areas where Ebola outbreaks occur. However at the time of writing, Quammen acknowledges that no bat has ever been found, despite extensive research, containing live Ebola viruses. This might mean that bats are part of a much more complex Ebola ecology (we know for instance that Ebola is particularly virulent in Gorillas) or it may be that some bats are the reservoir. More research is needed. Ebola usually causes a horrible death.Though when the communities are in Africa we rarely hear about them, which was why I was surprised to find out from Quammen's book that 1976 was the first known case of an outbreak. I was also surprised to learn that several casualties have occurred outside of Africa long before the 2014 outbreak. England had a patient in 1976 who had contracted it due to an injury while studying the disease. A Russian researcher who had been looking at an experimental therapy derived from blood serum of horses died in 1996. Injecting live horses with Ebola must have been a particularly dangerous piece of research activity. I was fascinated to discover that an African group, the Acholi, had, as part of their cultural knowledge, "a program of special behaviors" some of which seem specifically aimed at coping with diseases like Ebola. Including "quarantining each patient... relying on a survivor of the epidemic (if there were any) to provide care to each patient; limiting movement of people between the affected village.... not eating rotten or smoked meat; and suspending the ordinary burial practices"
"What we should remember, is that the events in West Africa (so far) tell us not just about the ugly facts of Ebola's transmisibility and lethality; they tell us also about the ugly facts of poverty, inadequate health care, political dysfunction, and desperation in three West African countries, and of neglectful disregard of those circumstances over time by the international community." Quammen's book is not perfect, its main limitations come from its origin in a book with a slightly different emphasis. 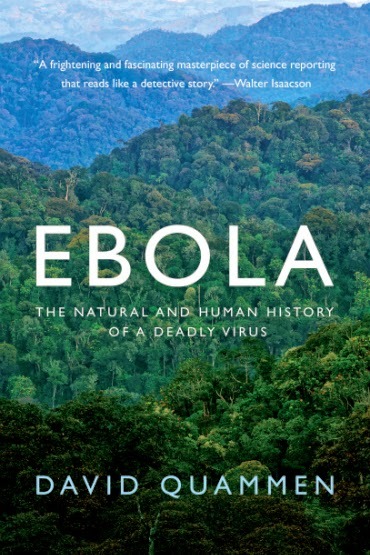 But it is an excellent introduction to Ebola. It should also encourage us to demand that our governments spend more of researching diseases like Ebola and caring for their victims. 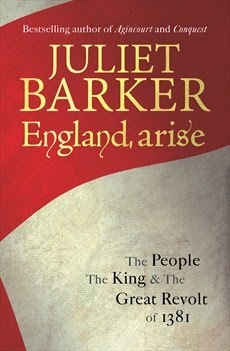 Juliet Barkers' book on the 1381 Great Revolt is a meticulously researched, well written and important new contribution to our understanding of the event. While I don't agree with all of her conclusions, and particularly have problems seeing Richard II as a naive ruler, sympathetic to the serfs who has to be persuaded to undo the concessions he made with Wat Tyler and the rebels at Mile End, this isn't a key criticism of the book. A bigger problem is that Barker fails to see the uprising as a more general class struggle which is why she rejects the term "Peasants' Revolt". That said, the wealth of material here, Barkers' excellently clear style, and the background material make this a book that will enormously contribute to discussions about peasant struggles in the medieval era. 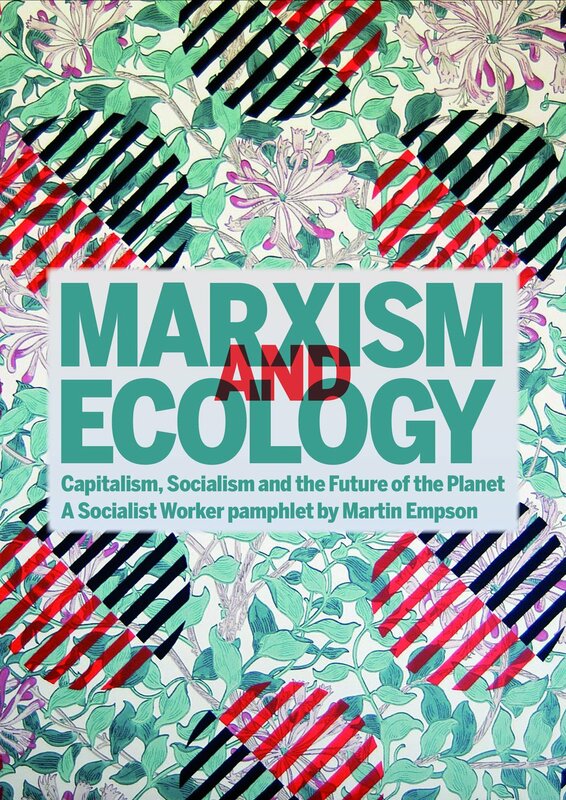 I wrote a longer review of this excellent book for Socialist Review magazine in December 2014. This can be read here. Those of us who have been campaigning over the last few years to save public services from government cuts and austerity have been known to say, only half jokingly, that when the Tories are done, there will be "nothing left". But this isn't true. Tory austerity measures are a full on ideological assault. Their economic policy masks a concerted attempt to demonise the poorest and encourage people to think that the unemployed, the ill, the disabled, immigrants, asylum seekers and the old aren't "deserving". Thus the future is not one without public services. It is one were minimal services are delivered, by privatised corporations, to those who are deemed worthy. 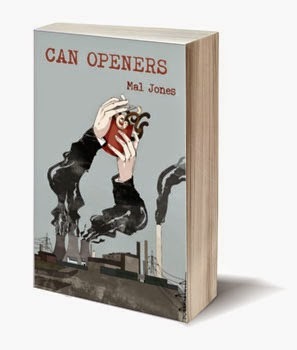 It is this sort of future that provides the backdrop for Mal Jones' first novel Can Openers. Jones is a social services worker and his vision of the future is clearly informed by what he has experienced in recent years as social services are gutted by funding cuts and staff shortages. The novel begins with the death of an older woman, whose time in a privatised care home is cut short to save money, and to make sure that the all embracing multinational Dibble Corporation gets the most out of what little money she has left. But the bulk of the story centres on a group of individuals who are working for, or are under the ever-watchful eye of the Dependency Unit. This body tests, checks and re-tests whether or not the poor are entitled to help. Its teams pry into every aspect of peoples' lives, to see if they are worthy of some support from the government. Frederick Smyth heads the local department. He has swallowed every right-wing ideological argument, believing the poor to be lazy, feckless and wasteful. As his staff quiz and examine he is rapidly approaching the magical target figure that will ensure he gets a place on the board of Dibble. If this dystopian future were all there was, this would be a completely bleak future. But even in this future where privatised police forces have enormous powers, there is hope. The hope lies in resistance, and the best parts of this novel are those when ordinary people discuss how they can fight back. Groups of friends, for instance, who study the law and Dibbles' procedures to give each other an edge in the face of a system geared towards entrapment. Workers at a local canning plant also owned by Dibble, begin to organise to get a pay increase. They rapidly expose the weaknesses of the multinational and give confidence to workers across the country. Frederick Smyth himself finds his life falling apart as an apparent bureaucratic mistake can't be sorted out. As his life unravels, he gets an insight into what his Dependency Unit has been doing to thousands of ordinary people. But there is no easy happy ending here. Jones resists the easy way out and instead puts the solution into the uncertain hands of the struggle by ordinary people to change things. The ending is optimistic rather than settled. Mal Jones brings these different strands of the plot together in a surprisingly neat way. There is a complex conspiracy and the author handles it well. Readers will want to keep reading though, not just because of the story, but because the world that the author has created is tragically believable. The hope that we can avoid this sort of future and defeat the attacks on our public services lies precisely in the forces that Jones describes finally getting the confidence to confront Dibble Enterprises. It is this that makes this novel worth reading, and I certainly hope the author writes more. You can buy Can Openers direct from the publishers here. Mal Jones is part of the Social Work Action Network (SWAN). You can find out about their campaigning work here. R.H. Tawney was a social historian and christian socialist. He is best known for this book, though his career was wide-ranging and fascinating. I found, while looking into his life, this powerful account of his experiences going "over the top" at the Somme and being wounded in action. An experience that no doubt helped shape his later politics and activism. Religion and the Rise of Capitalism is however not an easy read. In part this lies I suspect in its origin as a series of talks. More problematic is the author's extensive and detailed references to religious ideas, people and contemporary academic work. At times it is hard to follow his line of argument or understand, without this knowledge, the point he is making. That said, there is much of interest in here to the reader trying to understand the development of capitalism in western Europe, particular the British Isles. "In the earlier Middle Ages it had stood for the protection of peaceful labour, for the care of the poor, the unfortunate and the oppressed - for the ideal, at least, of social solidarity against the naked force of violence and oppression. With the growing complexity of economic civilisation, it was confronted with problems not easily handled by its traditional categories." But religion in the medieval era was also a justification of the status quo. That everyone had their station in life and was expected to work in that role for the benefit of a whole. Thus religious figures tried to interpret and understand the Bible to both guide people, and back up their world outlook. In terms of economics, the key question for the church was usury - the idea that interest could be charged on loans, or profits made from lending. Tawney traces the way that the Church's attitude to usury changed through time, banning clerics from profiting like this, then refusing usurers communion or Christian burial. But as capitalist relations developed within Medieval society, as wage labour grew and money came to dominate economic relations the old conservative approaches to economic relations no longer fitted the reality. "In England... the new economic realities came into sharp collision with the social theory inherited from the Middle Ages. The result was a reassertion of the traditional doctrines with an almost tragic intensity of emotion, their gradual retreat before the advance of new conceptions, both of economic organisation and of the province of religion, and their final decline from a militant creed into a king of pious antiquarianism. They lingered, venerable ghosts, on the lips of churchmen down to the Civil War. Then the storm blew and they flickered out." The changes that the rise of capitalism brought meant that religion had to adjust. This didn't simply mean changing the approach to questions like the charging of interest on loans. It also mean a complete re-write of the moral code that formed the basis of Christianity. "In spite of the sincerity with which it was held that the transaction of business must somehow be amenable to the moral law, the code of practical ethics, in which that claim was expressed, had been forged to meet the conditions of a very different environment from that of commercial England in the seventeenth century." Tawney traces the changes that took place within religion as different interpretations of Christianity struggled to adapt and understand the new world order. In particular he focuses on Puritanism, which "became a potent force in preparing the way for the commercial civilisation which finally triumphed at the Revolution". "a creed which transformed the acquisition of wealth from a drudgery or a temptation into a moral duty was the milk of lions. It was not that religion was expelled from practical life, but that religion itself gave it a foundation of granite... The good Christian was not wholly dissimilar from the economic man." The transformation was so great, that as Tawney points out, those who held to the old texts were persecuted. The Rev. David Jones was was "so indiscreet as to preach... against usury, on the text, 'The Pharisees who were covetous heard all these things and they derided Christ,' [found] his career in London was brought to an abrupt conclusion." Tawney tells the story well and the book is most useful for the historic account. I didn't find that Tawney got to the bottom of why attitudes began to chance. In part, I think, the answer lies with the fact that the Church was not so benevolent - but itself was enormous wealthy. Religious ideas needed to reflect reality, or risk becoming irrelevant. In addition, as Marx wrote, "being determines consciousness" - reality of working and relating in capitalist ways to other people and nature at large meant that peoples ideas changed. Most people expressed these through religion and so new interpretations of the Bible and religion became common. This is why, during the upheavals of the English Civil War, myriads of religious sects and groups appeared and pamphlets discussing the world, religion and the church were written in their thousands. Tawney's style is beautiful and poetic which means the reader can be enjoy this book on many levels. 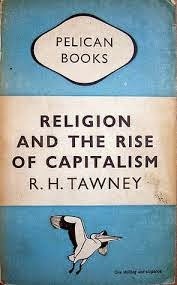 While Tawney's thesis may not be one hundred percent accurate for the Marxist trying to understand the rise of capitalism (perhaps it is better described as incomplete) there is plenty of food for thought here that those trying to understand the modern economic system (and the role of the Church within it) can engage with. A.L. 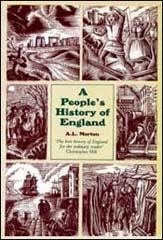 Morton's A People's History of England is an extraordinarily readable Marxist history. Arthur Leslie Morton was a Communist Party activist and chair of the influential Communist Historians Group. 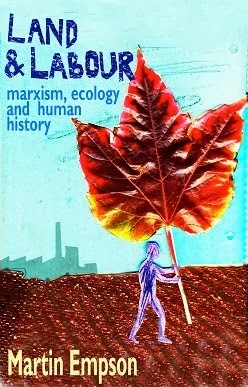 His book became a sort of unofficial history book for the CPGB, though it has none of the dogmatic politics that sometimes mars the later writing of that organisation. This new cavalry was unarmoured and mounted on lighter and swifter horses. It relied on the speed of its impact and on pistol fire to break the formation of the enemy. This is the cavalry of the Thirty Years' War and of Rupert and his cavaliers, a cavalry that, though it was mainly composed of gentlemen and their followers, reflects the structure of society in an age of transition between feudal and bourgeois. But, he notes that while the changes in military technique arise from social changes, they in turn, react back upon society. "War became industrialised, employing more complicated instruments and involving more complicated financial arrangements." Gunpowder and firearms required money and industry and towns. Thus the new weapons were in the hands of a new class, which meant "Feudal wars, growing into national wars, transcended the organising capacity of the feudal system and hastened its decline." The war was in form a battle between rival gangs of nobles, but underlying the struggle was another real though hardly apparent issue... The Yorkists drew most of their support from the progressive South... The ultimate victory of the Yorkists was therefore a victory of the most economically advanced areas and prepared the ground for the Tudor monarchy of the next century with its bourgeois backing. Whether this is historically accurate or not, it reads like a statement of historical change being inevitable, driven by economic development, rather than a more complex process. The long life - 1661 to 1678 - enjoyed by the Cavalier Parliament gave full opportunity for the professionalising of politics, for the growth of the beginnings of organised political parties acting under recognised leaders and the for the beginning of that undisguised corruption that developed into a system in the Eighteenth century and makes many of the detailed changes of policy and alignment so complicated, and, on the long view, so insignificant. beneath the surface, the streams of gold poured into the City, their level growing higher year by year, till the time when the flood burst out, transformed by some magic into mills and mines and foundries, and covered the face of half of England, burying the old life and wars for ever... the Industrial Revolution. Such examples of quantitative change bursting through into qualitative change are the thoughts of an author whose Marxism is part and parcel of their thinking, rather than a mechanical device to be applied like an sledge-hammer to crack a nut. And Morton never fails to acknowledge and celebrate the struggles of the ordinary English man and woman, whether they were the peasants revolting in 1381 or 1450, or the strikes that built the new unions. Morton mentions forgotten movements, one of the few historians to even notice the general strike of 1842 for instance, or the Midlands Revolt of 1607.
written in an English prose so clear that no one could ever mistake his meaning, was the first to denounce every act of oppression and was felt by thousands all over England to be an amplification of their own voice.... [Cobbett] was not an even-tempered man, and he raged furiously against the landlords, tithe-owners and bankers, and against 'the Thing', the whole conspiracy of the rich against the poor. They are fine words to write of William Cobbett, but in truth, they are also words that could be applied to A.L. Morton as well. 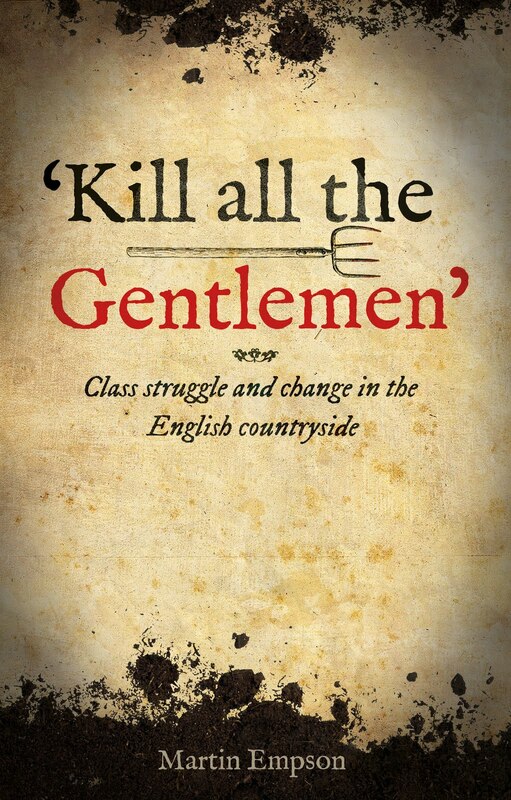 His Peoples' History of England has educated and inspired tens of thousands of workers in the three-quarters of a century since it was first published and it deserves to be read again to inspire a new generations. There’s no denying it—capitalism is damaging the planet. The latest Intergovernmental Panel on Climate Change (IPCC) report proves that humans are fundamentally changing the environment, leading to a more dangerous climate. The impact will be immense, particularly on the world’s poorest. The report says that to avoid dangerous climate change above 2°C, energy generation must be almost entirely low carbon by 2050 and completely so by 2100. The report’s authors hope it will influence a global treaty being prepared for December 2015. But there are worrying signs. Some countries such as oil supplier Saudi Arabia were concerned about sections that urged reductions of fossil fuel use. A previous attempt to get countries to agree to serious action in 2009 was scuppered by a coalition of governments led by US president Barack Obama. But there is also a growing climate movement demanding action. In September there were big protests worldwide as government representatives met in New York. 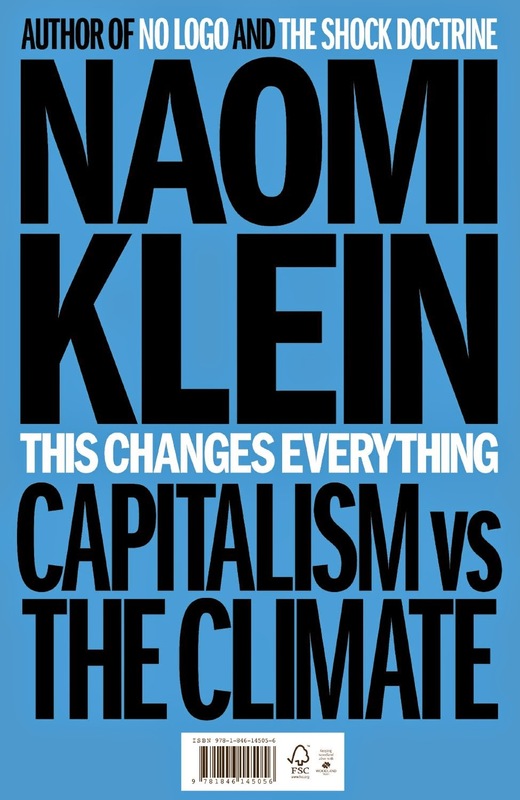 Another indication of the new mood is the popularity of Naomi Klein’s latest book, This Changes Everything. A launch event in London drew some 2,000 attendees. The book is explicitly anti-capitalist. Klein writes that we need to “protect humanity from the ravages of both a savagely unjust economic system and a destabilised climate system”. Reducing emissions gives us the “chance to advance policies that dramatically improve lives, close the gap between rich and poor, create huge numbers of good jobs, and reinvigorate democracy from the ground up”. Environmental action cannot be left to individuals such as the “lifestyle decisions of earnest urbanites who like going to farmers’ markets on Saturday afternoons”. Instead, we need state action such as sustainable transport and energy-efficient housing. Market mechanisms are supposed to reduce emissions. But Klein points out that the private sector has played only a tiny role in investing in renewable energies. Governments have been responsible for nearly everything. Klein says we need an “alternative worldview” and mass movements such as those that fought against slavery or for civil rights. We need to “Grow the Caring Economy, Shrinking the Careless One”. Klein sometimes looks to local change, such as communities divesting from fossil fuel industries and supporting sustainable alternatives. But she also acknowledges the need for economic planning, tough regulation of businesses and higher taxation for the rich. This is important stuff and has incurred the wrath of many right wingers. But while Klein’s book looks to challenging capitalism, it is less clear about who has the power to do this. The fossil fuel companies have already demonstrated how they will fight to protect their interests. Klein quotes Karl Marx, noting capitalism’s irreparable rift with “the natural laws of life itself”. This is why we need to overthrow the system. The force to do this is the working class. Through its unique role in capitalist production, it has the power to stop the system and build a new world. As Klein says, in the face of climate change, “only mass social movements can save us now”.